This Is Not A Game. This seemingly simple mantra, coined by a collective of Microsoft Game Studios employees, has served as a rallying cry for alternate reality gaming fans and developers alike. And yet, it is also one of the most misunderstood aspects of the genre. As alternate reality games have evolved, so too has its nomenclature: puppetmasters have gradually given way to game developers and transmedia producers, and “this is not a game” itself has fallen into disuse. Perhaps it’s time to make the term’s retirement official. The Beast was not the first alternate reality game: the term was coined months after the game’s conclusion, with the launch of Lockjaw. Similarly, promotional campaigns for The Last Broadcast and The Blair Witch Project introduced many of the storytelling elements that would later be embraced by the genre. What sets The Beast apart were its players, who referred to themselves as Cloudmakers. It wasn’t a game in the conventional sense. So when [this is not a game] came up in that trailer, it felt like [the developers had] been listening in on all that talk and laid down the law: This was…something…but a game was not it. We eventually started using it as a shorthand to remind one another that the game was going to act like a real thing as much as it could, when we were talking spec or trying to solve something. Nothing was out of the reach of possibility. From the player perspective, the phrase “this is not a game” was viewed as further evidence that the game’s developers were closely monitoring its fans and as a signal that this was something new. The initial ideal was an attempt to provide contextual framing for a nascent form of storytelling. Six to Start CEO Adrian Hon, a former Cloudmakers moderater himself, viewed the phrase as having two complementary aspects. “This is not a game” was an acknowledgment that The Beast didn’t have any of the explicit trappings of a game. There were no instructions on how to play and no overt signals telling people where to start. It also came to represent the Microsoft team’s refusal to publicly acknowledge their involvement with the game, despite enterprising fans uncovering hints at that involvement through website registration data. The term’s origins, however, were highly personal to The Beast itself. a game of sorts, that takes place on the Internet, although it’s nothing at all like most Internet or video games you may have played in the past. In fact, one of the main goals of an ARG is to deny and disguise the fact that it is a game at all. This is what the community of immersive gaming fans and creators embrace as the main principle of Alternate reality Gaming and what has come to be called the TINAG philosophy, for This Is Not A Game. Although a literal reading of the mantra denies this central truth, alternate reality games are still games. They merely ask players to extend their suspension of disbelief across media, in exchange for a more engrossing narrative. There’s an expectation with fiction that characters won’t openly confront their audiences with their fictionality, even in more interactive media like video games and theatrical performances. Similarly, there’s a responsibility on the part of participants not to force those characters to confront their fictional natures. Alternate reality games really excited me because, at their core, was something I never saw before. The characters believed they were real. And because they believed they were real, they demanded interaction out here in the real world. So in order to participate in an alternate reality game, you had to believe they were real too. You had to play along so that your reality matched their alternate reality, or the story just wouldn’t happen. Of course, along with that belief comes a responsibility on the part of the developers. Elan Lee summarizes that responsibility as the promise: “we will never make you feel stupid for believing us. We’re going to ask you to do insane things…and if you ever feel like you are stupid for believing us, we have utterly failed.” In The Beast, the team at Microsoft doggedly worked to earn that trust by following what came to be viewed as the “this is not a game” philosophy. However, many of the individuals behind the project went on to earn that trust through their personal and corporate reputations. As alternate reality games have evolved over the years, the term “this is not a game” has fallen into disuse, only to be dredged up by new players and aspiring game developers who stumble across the philosophy and view it as permission to embrace storytelling without rules or boundaries. It’s time to move on. I’m not saying that all games should abandon the format established by The Beast: some of the most popular alternate reality games currently running, like Marble Hornets, have built upon The Beast‘s aesthetic admirably. However, I am arguing that it’s time to admit that an aesthetic choice is not a requirement: that games like Legends of Alcatraz that openly broadcast their sponsorship deserve an equal seat at the table and that alternate reality games have evolved to embrace a wider spectrum of gameplay types. I miss TINAG. There are marketing efforts everywhere that put good effort into setting up an Alternate Reality (Alcatraz and The Hunger Games come to mind right now), but then regularly shatter the suspension of disbelief by overtly game-ifying the experience. If you go through the effort and expense to set up an Alternate Reality, you have to actually believe in that reality. Because the moment you stop, it deflates the balloon for everyone involved with a long depressing bplrlrlrlrrrffffffffffft. I’m not sure why open broadcasting of campaign sponsorship is mutually exclusive of the TINAG aesthetic, unless your characters are personally saying in-game, “Hi, this cryptic email has been brought to you by Sprite!” So what are we trying accomplish with this dictum? To stop newbies from “dredging up” and misinterpreting the term? Didn’t we just say it had already fallen into disuse? How do we put a stop to something that has already supposedly died on its own? Assuming we could, how would that solve the newbie developer problem? What am I missing? “Of course, along with that belief comes a responsibility on the part of the developers.” If we were somehow to remove that belief, might we perhaps be implicitly relieving those developers of the responsibility to not make us feel stupid, instead licensing yet more of the patented dumbing-down that comes with the oft-expressed desire for mainstreaming of the genre? This buzzword overload was brought to you by Starbucks. i don’t believe ridding the world of “the term” (or other terms) will do anything, Michael. imo – when someone, like an aspiring PM or Dev, latches onto the idea of TINAG and twists your definition or my definition (and so on), they are testing the boundaries of the idea. step back for a minute and look at this like an art movement. it is and will continue to be very messy as it grows. Devs and PMs need to make better storyworlds. we (the community and ARGN) should find ways to encourage better work, beyond trying to silence the term TINAG or ARG or Transmedia. maybe we need to see rigorous critiques of the actual experiences, ARGs, viral marketing etc.? @Space: In the same interview I linked, Elan Lee referred to the original conception of TINAG as “a really poor idea.” Evan Jones suggests that people are more than capable of immersing themselves in experiences that don’t go to extreme lengths to hide their nature. As intended, the current consensus seems to be that TINAG merely recognizes that characters shouldn’t acknowledge they’re fictional, and that players shouldn’t force that reality upon the characters. In other words, suspension of belief requires both parties. Is a specialized term really necessary to describe this concept? @labfly: I’m always excited to see innovation in the space. And I see confusion at the TINAG term as a barrier to that, as it unduly clouds a fairly important lesson in game design: create an environment that is conducive to play. @Michael: that’s clear in your post. its also clear you care about the genre and want to find ways to nurture it. while reading your thoughts, it struck me that ARGN could play a much bigger part by having a few Critics on staff. presently, it is a fantastic place to market projects, but that doesn’t push devs to be better. the set up could be like an Indiewire, where you still announce launches, but also have a section containing rigorous critiques/reviews of experiences, ARGs, viral marketing, etc. TINAG has value to the ARG community because it describes a somewhat generic concept as applied to a specific class of fiction or style of play, in which real-life participants interact with elements of a fictional universe. Most other forms of entertainment do not allow for such interaction in a meaningful way, so the term is irrelevant to them – suspension of disbelief is not required for both parties. 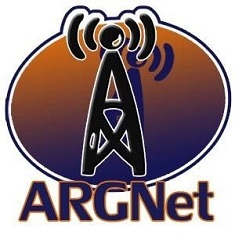 If nothing else, TINAG has value as a signpost to ARG developers by pointing to a concept that should be provided consideration in development, regardless of how a campaign is ultimately executed and in spite of an audience’s ability to immerse itself in a wide variety of fictional constructs. I would challenge you to rewrite your article without the term, abbreviated or expanded; I think you will find that usefulness does not always go hand-in-hand with necessity. This is a subject that has been in my mind a lot as of late. I brought up a question about TINAG at last year’s ARGfest and was promptly informed that what I thought of as TINAG was incorrect by people on the stage… much to my chagrin. This rocked my world for a bit, because what I had come to believe the definition of TINAG was… was the whole reason for me wanting to become an ARG designer. But the blending of reality is the exact reason WHY I like ARGs. And the whole reason I am so excited about this new version of storytelling. I understand the dangers of blurring that line in a lawsuit world, but if new designers aren’t able to push that limit how do we know where it is? An example of a newer ARG that dared to jump right over those lines would be the ARG Junko Junsui. Now I feel the PM here crossed way over to the dark side and really scared a lot of folks… but it also received some of the most active WORLDWIDE gameplay and discussion that I have ever seen. These are the emotions I want to feel when playing ARG’s. TINAG has always meant that blurring of reality where the player isn’t quite sure if things are real… in other words making the player ask: IS this a game? To sum up (Too late I know 🙂 Why are ARG creators living by a 10 year old ‘rule’ that it seems no one really understood anyways? So my vote on all of this is that we totally change the definition and give TINAG to the players rather than the characters. My favorite example of [whatever the term] is the fact that I can watch ABC’s show “Castle” and also hold a physical published book written by Richard Castle. I know he’s a TV character, but at the same time my brain allows him to be a real person in my reality. I don’t have to be confused or stunned or go “WTF? Holy crap, is this real?” — I can enjoy the cognitive dissonance by holding BOTH realities simultaneously. I watched Castle describe the books, I saw his Twitter about their publication dates, and I can read his novels in blissful ignorance as to who “really” wrote them. There is no game here, just an alternate reality, which makes for more immersive “play” than any puzzles. Great post, this really got me thinking! Interesting that TINAG is being discussed in terms of an aesthetic choice. Is it possible to create a successful ARG without in some sense incorporating this concept? Stretching or shrinking that concept (which I agree includes how sponsorship is deployed within the game) does not necessarily mean ridding the genre of it altogether? There also seems to be a distinct difference between what this term means to players and what it means to PMs. This seems problematic if you do think of TINAG as a kind of contract which occurs at the start of the game. If neither side can agree on what that term means (or indeed where the boundaries of that term are set for a particular game) then surely dissatisfaction with the game world is more likely to occur? Again I don’t think binning it will help, particularly as it has come to define the genre for players old and new, but perhaps it would be useful to better understand why PMs and players think of it differently and perhaps trying to figure out how to bridge the gap? Bridging the gap between pms and args is also part of the game itself. (But it is not a Game) The reality of it is to expand the mind to figure out the rules as you go. Some can find this out with no research,but others need to follow someone to the goal. TINAG does not apply to the Junko Junsui because it was NOT an ARG! This is propaganda experiment of the government. Or it is the coincidence that 2 of the creators working for IARPA and state department? The consultants is part of CIA red cell. Thanks for this great and thoughtful article. My question would be: Based on the trajectory of the TINAG mantra you describe, what should an aspiring ARG designer take away or leave behind? In other words, allowing TINAG to fall into disuse means a promising new ARG will… do what?